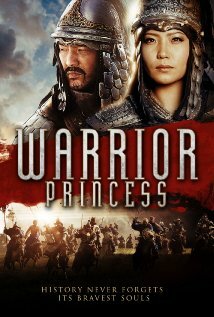 Buy or Rent Warrior Princess (2014) Movie DVD & BluRay Online! Movie Plot: After a country’s prince is slain, his brother is forced to take his place as leader of the army. With a new bride – Queen Ahno – promised from a rival land, the king takes up the task of uniting the empire. When the queen’s father begins to question the new king’s motives, she is forced to choose sides as war threatens their countries. With no peace in sight, the king’s life is threatened, and Queen Ahno is forced to make the ultimate sacrifice to protect both her husband and her new country.